How Do I Pick The Right Summer Camp For My Son In Pennsylvania? Summer camp in Pennsylvania offers tons of benefits for your son. Camp allows your son to grow up and become more independents over the course of a few weeks. He will learn new skills through a variety of activities at summer camp that he can choose for himself. Even better, he will be disconnected from his cell phone at summer camp and be able to explore the great outdoors while making new lifelong friends and memories. But what should you look for when selecting the right summer camp in PA for your son? First, look at how long the camp has been in business. The longer that the camp has been running, is a good indication that campers and parents have been satisfied with how the camp is run. Next, what are the summer camp’s goals? Find out what they intend to teach your son while he spends his summer there. Are the lessons incorporated into day-to-day life? Third, learn about how the summer camp staff is hired. Find out about the hiring process and if the camp preforms background checks. How old is the staff and what is the ratio of counselors to campers? The majority of the staff (about eighty percent) should be 18 years old or older. And the lower the ratio, the better because that mean your son will get more attention and be watched more closely. Lastly, involve your son in the decision regarding what he wants to do at sleepaway camp in Pennsylvania. Many camps will offer your son the opportunity to decide what activities at summer camp he wants to take part in. Does he like sports or would he rather take part in outdoor adventures, maybe art? Ask him what he wants to do and make sure he feels involved in the selection of the sleep away camp in Pennsylvania. It will make him more excited to attend the camp. 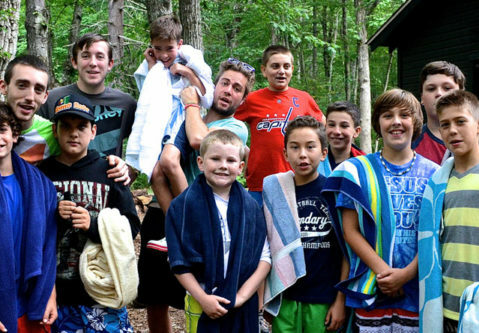 Consider all of these questions when trying to decide where to send your son to camp. Camp Shohola is the best summer camp in Pennsylvania and a great option for boys. Contact us at (570)-371-4760 for more information or to schedule a tour! « Why Are Some Sleep Away Camps Less Expensive Than Others In Pennsylvania?